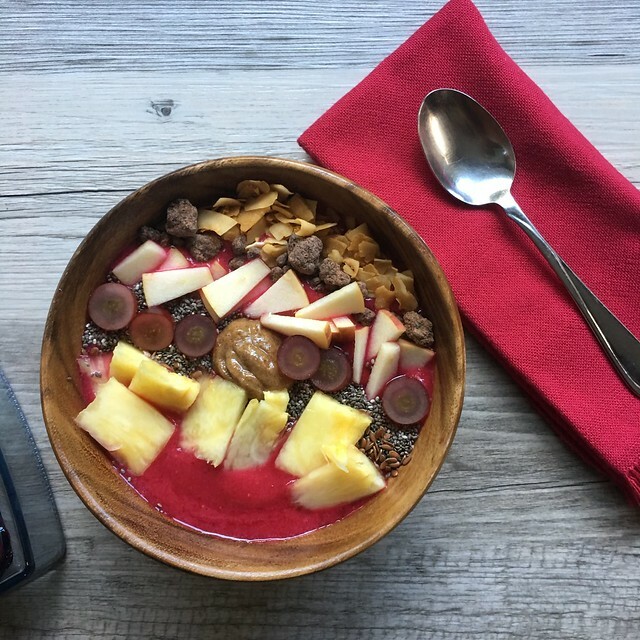 My new favorite: SMOOTHIE BOWLS! 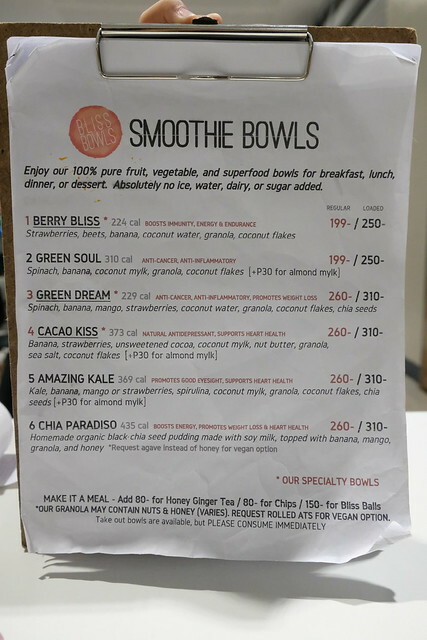 Bliss Bowls, Manila's first smoothie bowl bar, opened in SM Megamall early this year. 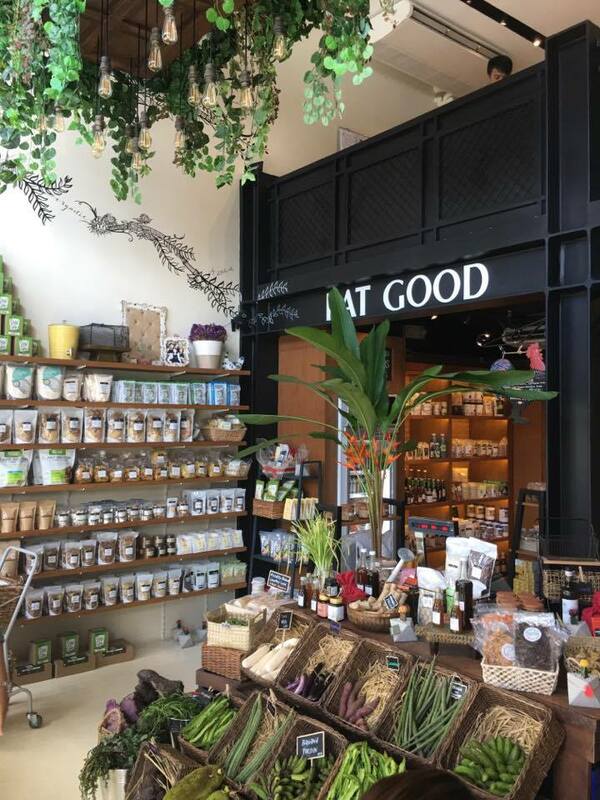 They've done pop-ups in food bazaars and malls since launching. 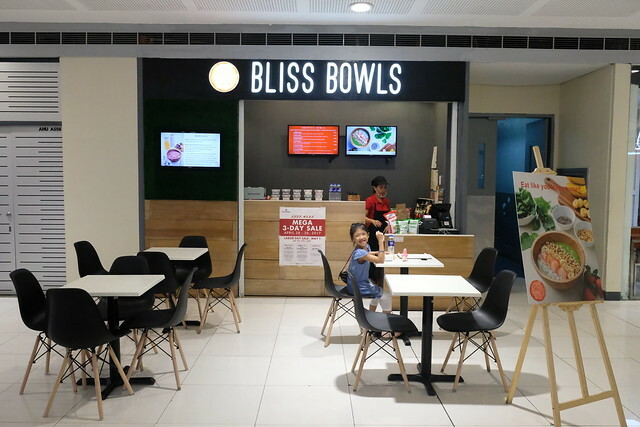 Bliss Bowls, I believed, is Pam Siao passion project. I first knew about smoothie bowls from her! 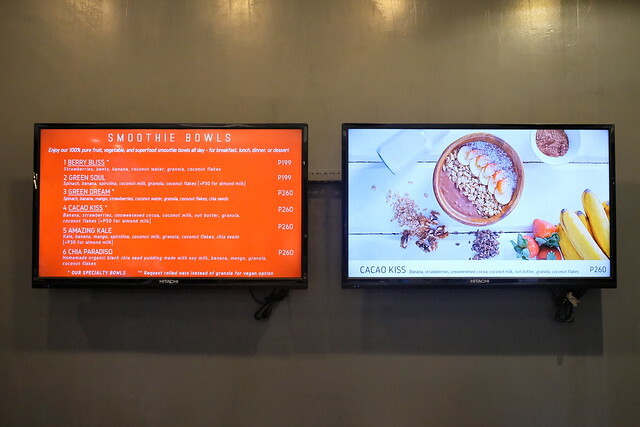 Since I live very far from Megamall, it was not until about a month ago that I was able to visit the smoothie bowl bar. 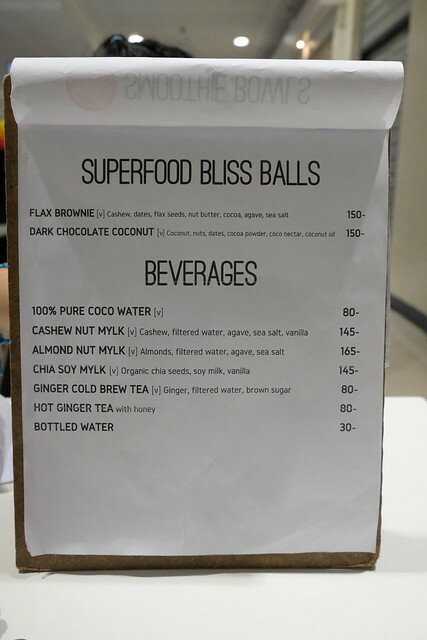 Bliss Bowls is located at 4F SM Megamall Bridgeway beside Saisaki/Dads. The menu is pretty straightforward. 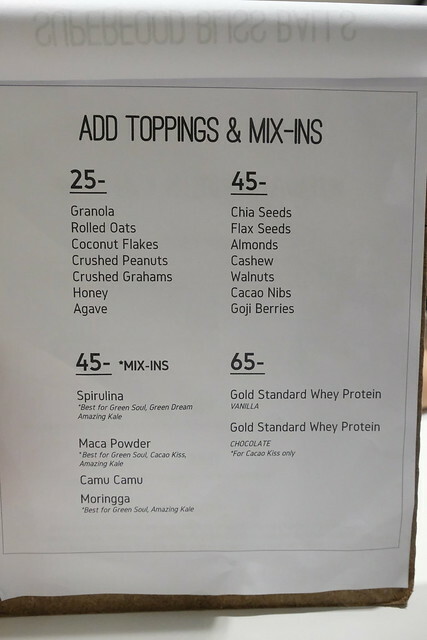 I've tried three out of the six smoothie bowls they offer. So far my favorite is the Green Dream then Cacao Kiss! This is the Green Dream (Php260). I had this for take out while I was having my brows done. This has spinach, banana, mango, strawberries and coconut water topped with coconut flakes, strawberries, bananas, granola and chia seeds. Their take out bowl is smaller so it's best to eat it at the store. If you like something sweet or if you have already eaten and want dessert, go for the Cacao Kiss (Php260). This is so good too!!! 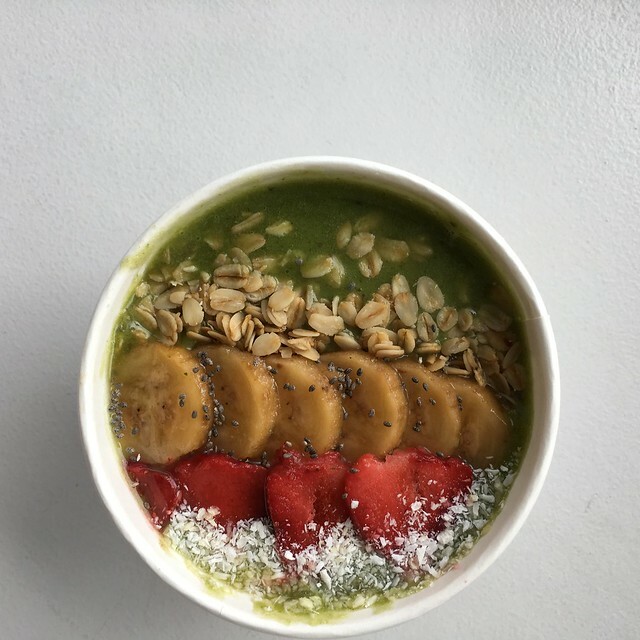 Because I can't always go to Bliss Bowls for my smoothie bowl fix, I asked my friends Mish and Maggie to teach me how because they're always posting their smoothie bowls on their IG (follow them if you haven't, just click on their names!). So one Sunday, I met up with them while I was in the south for Common Room. 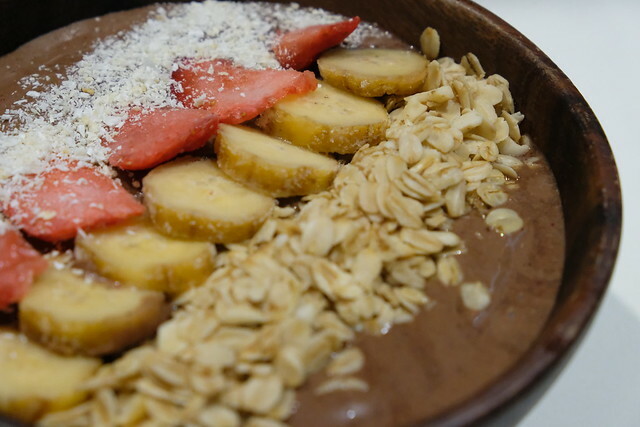 Before going back to Mish's house, we dropped by Real Food in Molito first to buy toppings for my smoothie bowl. 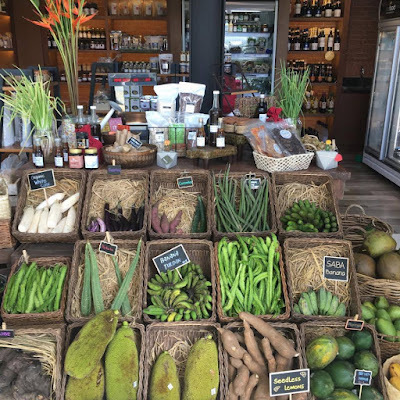 Real Food is one of Alabang's gem. 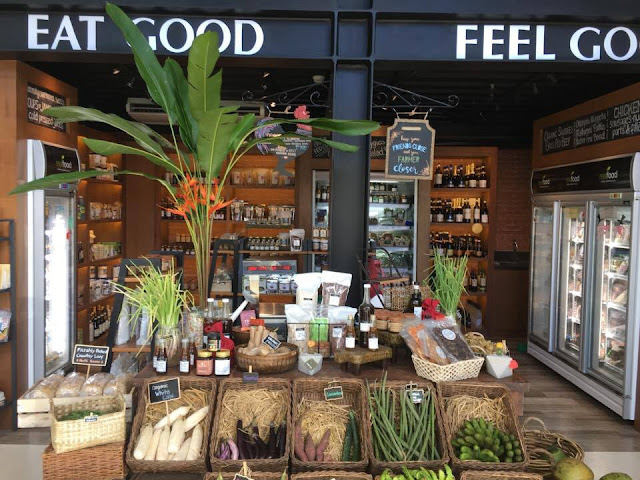 Everything you need that's organic and healthy, I'm sure they have it. 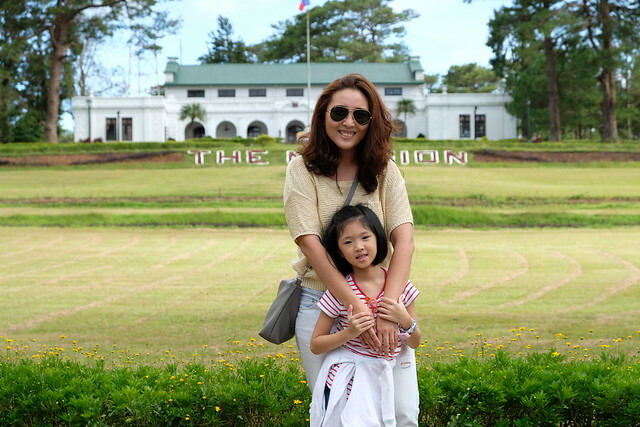 It's a must visit when you don't go to the south often. 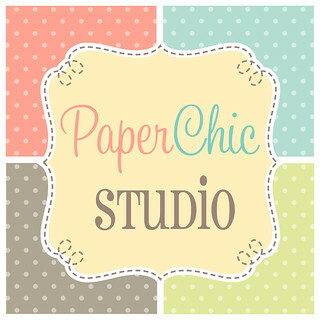 I hope they'll open up a branch in Makati or somewhere up north! 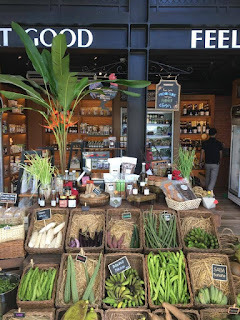 Organic vegetables, fruits, condiments, even meat products they have it in the store! 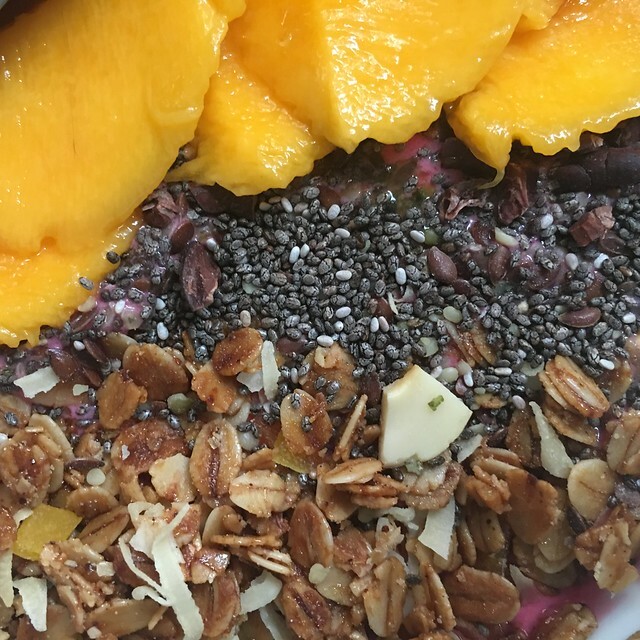 After Real Food, it's time na for making smoothie bowls! It's actually very easy to make pala. All you need is to do is to freeze all the fruits that will go into your smoothie bowl. 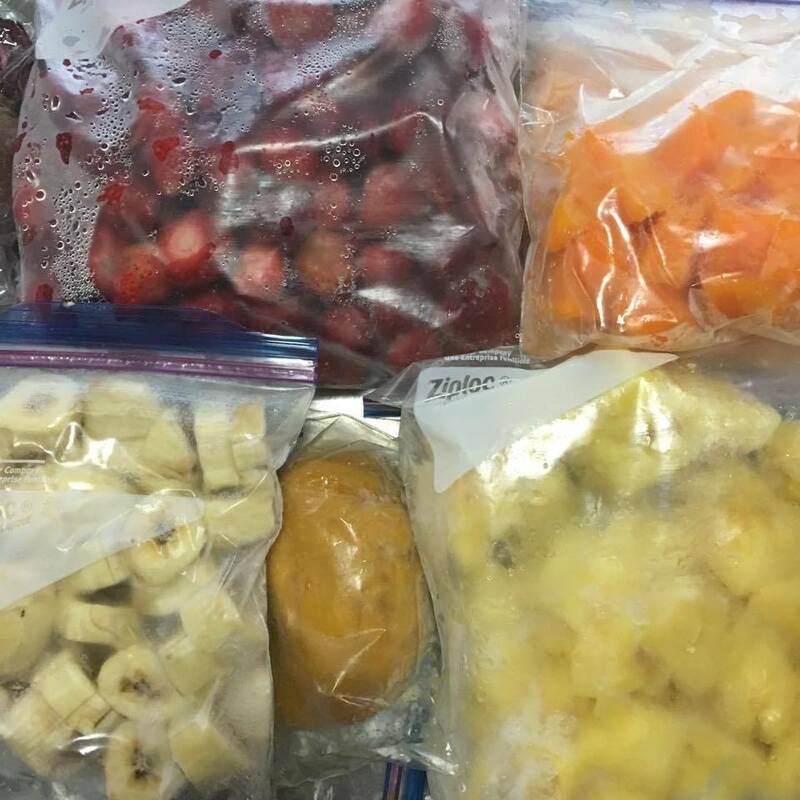 This was what Mish had in her freezer: strawberries, papaya, pineapples, mango and saba. I also freeze beets and coconut meat. 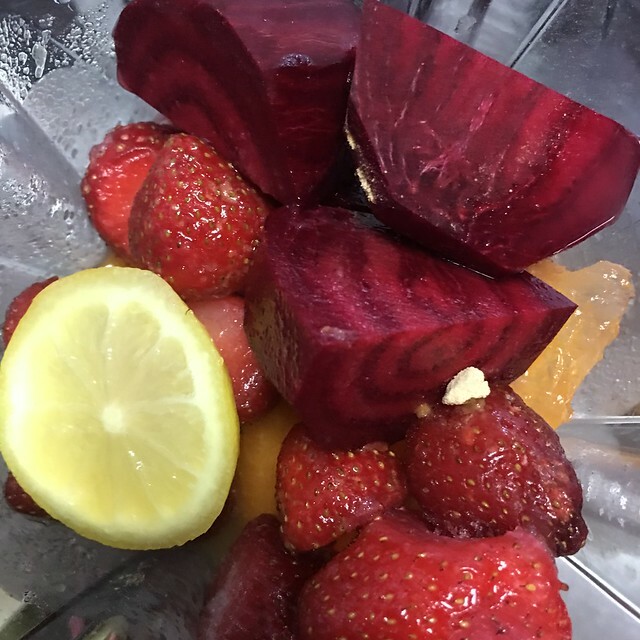 For the smoothie that we made, we put all the fruits in the photo above plus fresh beets and a slice of lemon. For the liquid, you can use fresh buko juice (which what I always use), boxed coconut water or any juice you have at home. No need for ice as the frozen fruits will serve as your ice. No need for sugar too. Then blend! 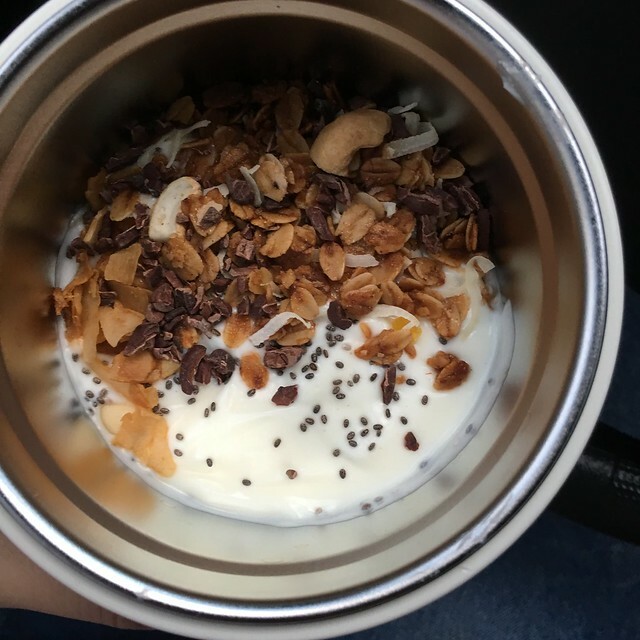 For toppings, there coconut chips/flakes, cacao nibs, apples, grapes, chia seeds, flax, pineapples and a dollop of nut butter (which you can put in your blender with your fruits). 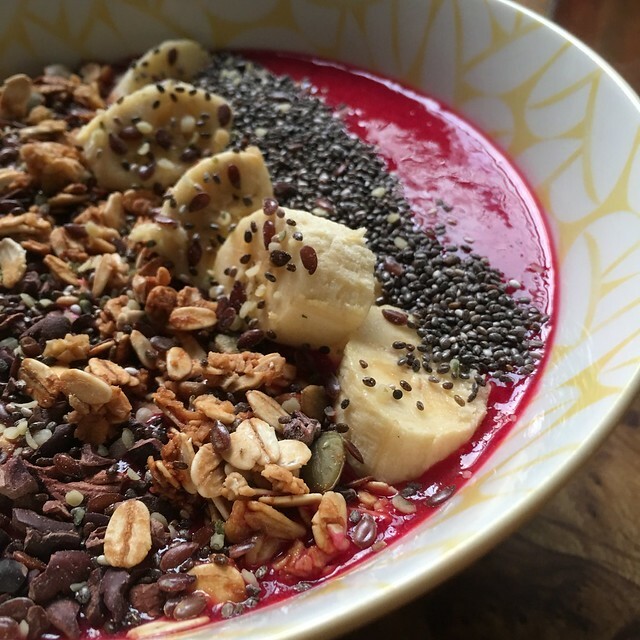 Don't be fooled, one smoothie bowl is very filling! After that Sunday, I started making my own smoothie bowl as much as I can. It's hard to make one at 5AM on school days. Haha! After x number of years, I took out my trusty Oster blender (which is older than my kids) and place it on my countertop so I won't have a reason not to make a smoothie bowl. 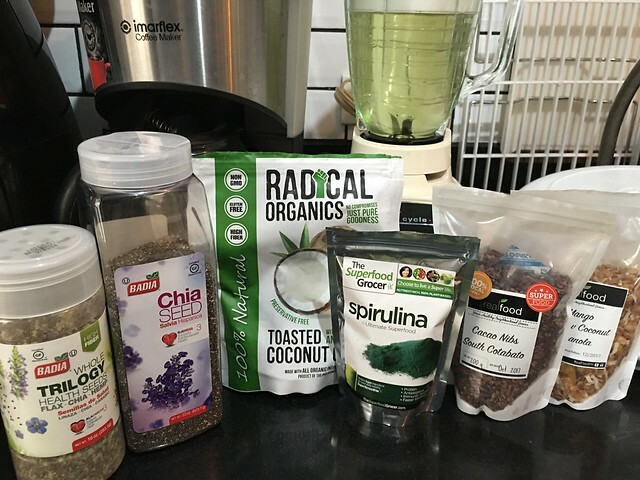 Here's what I put as my toppings: Badia Flax, Chia, Hemp Seeds and Chia Seeds (from Landers), Radical Organics Toasted Coconut Chips, The Superfood Grocer Spirulina, Real Food Cacao Nibs, and Real Food Mango, Cashew, Coconut Granola. Now I use Pili & Pino Granola which I buy at Rustan's. So good! I also use Coconut Cream sometimes to make my smoothie creamier! 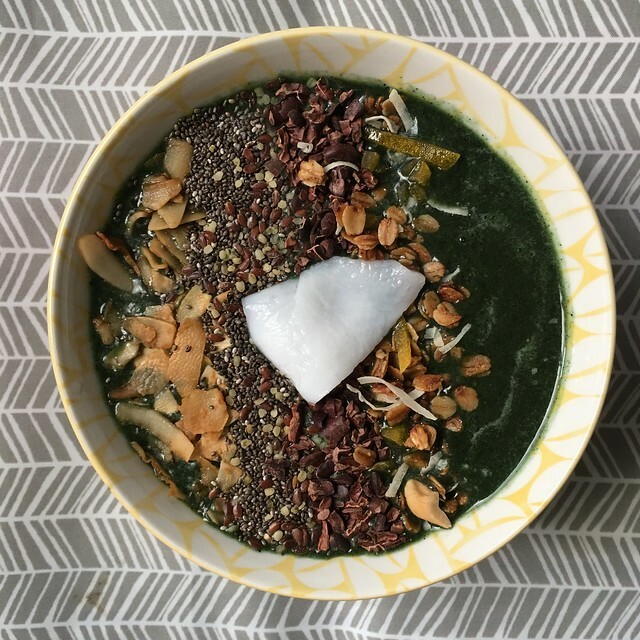 I like to put greens on my smoothie bowl. I've tried kale and spinach, they don't tastes like gulay because the fruits overpower them. It's actually a nice to way to encourage my kids to eat fruits and veggies. Well, si R lang because he likes to eat smoothie bowls with me. I have to work on Y's veggie intake! For the fruits, it's the same as Mish. 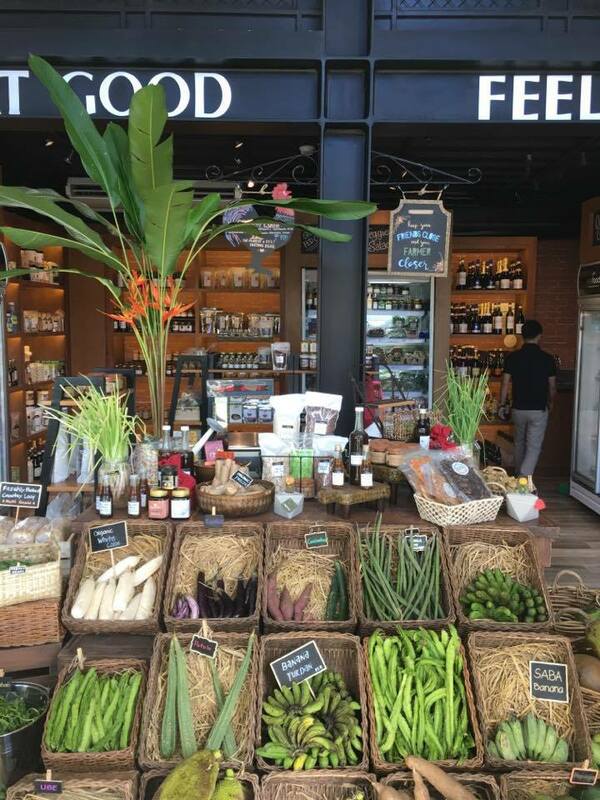 Will try to incorporate dragon fruit, saba and more berries! 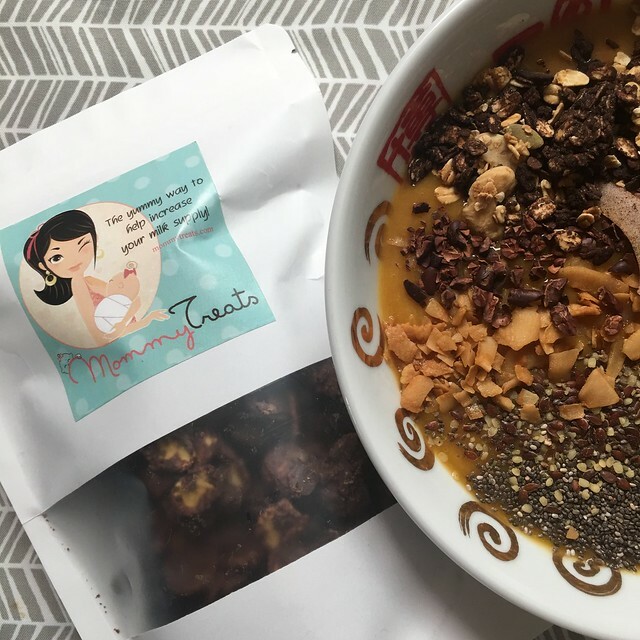 Recently, I discovered Mommy Treats has Lactation Chocolate Flakes (just like the ones we buy in Baguio for pasalubong!). Paola gave me a pack when I visited Expo Mom and the first thing I thought was: "Hey! 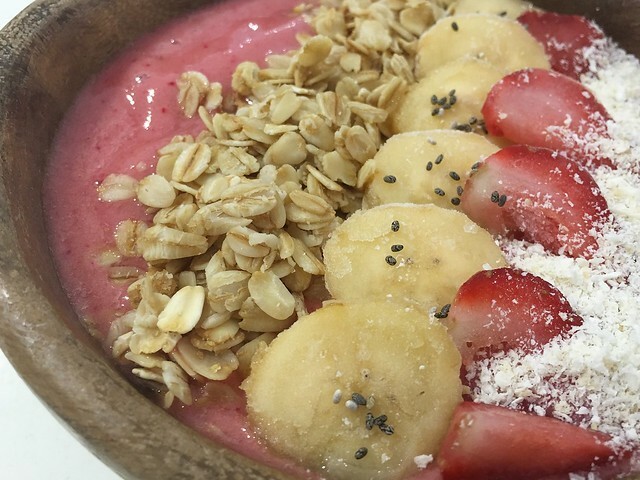 Pwede tong pang smoothie bowl!". So good! 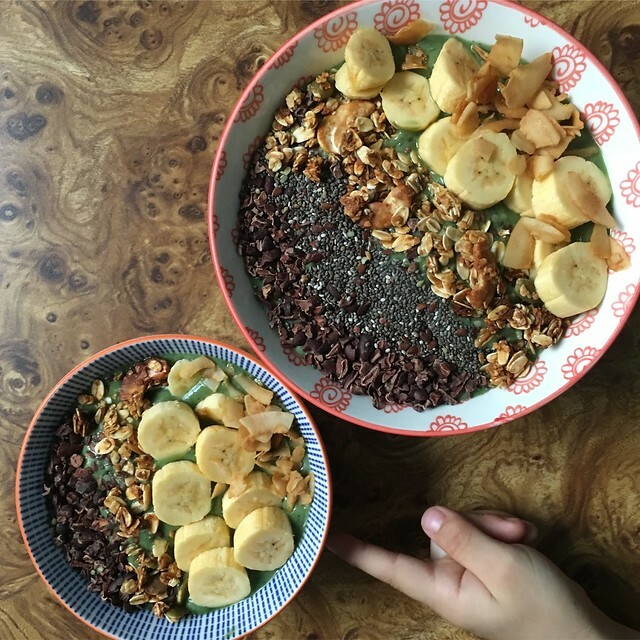 I have who have been asking me about my smoothie bowls so here it is! 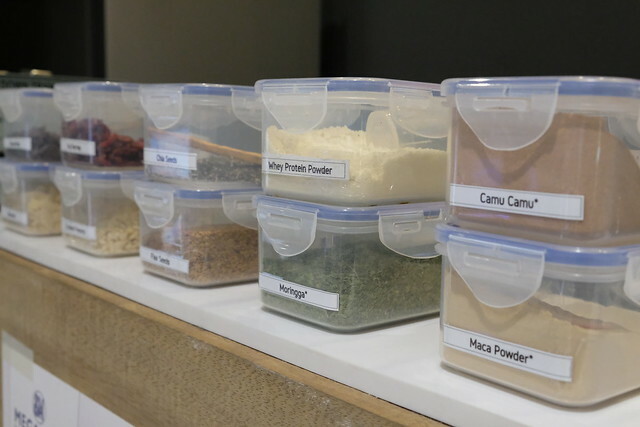 It's so easy to make at home! It's perfect for breakfast or merienda. I've had this for lunch also when I had a heavy breakfast. Since nasa topic na din tayo ng healthy breakfasts, I'm sharing with you one of my favorite breakfasts, yogurt bowls! 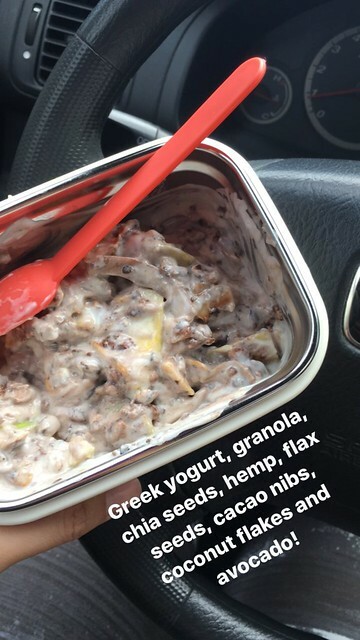 When I don't have time to prepare for a smoothie bowl, especially when the kids have school, this is what I eat in the car. Same toppings with my smoothie bowl. I use Nestle's Greek Yogurt. Sometimes, I add fruits. Easy peasy, diba? 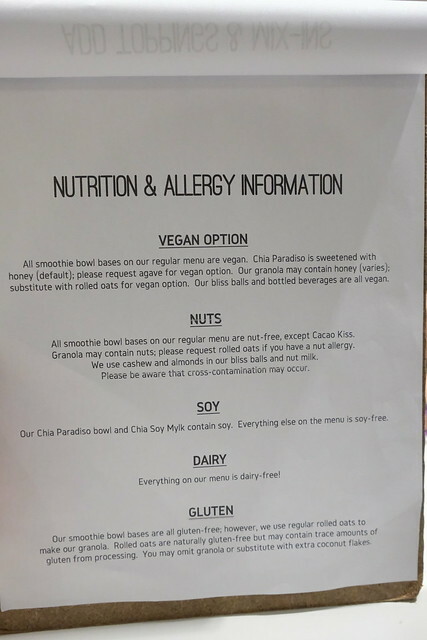 Other ideas for snacks are chia pudding, overnight oats, avocado on toast, oatmeal, ano pa ba? Please do share, I want more ideas for more variety! 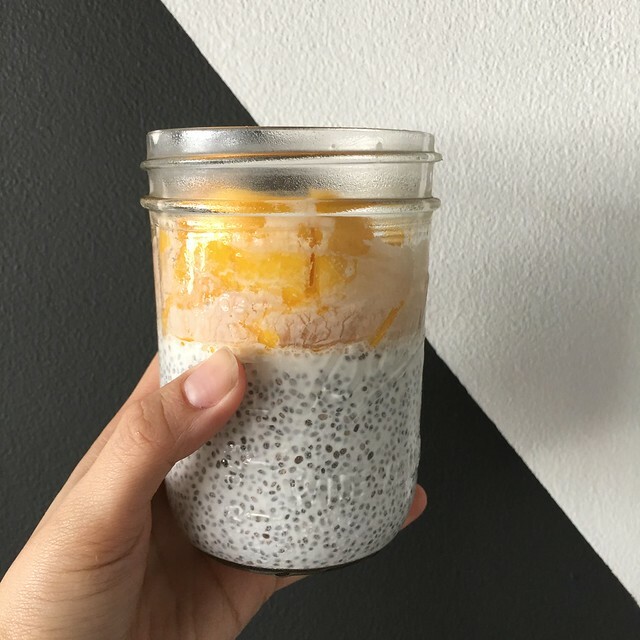 Chia seeds, coconut cream, and mangoes! While avocado is still in season! 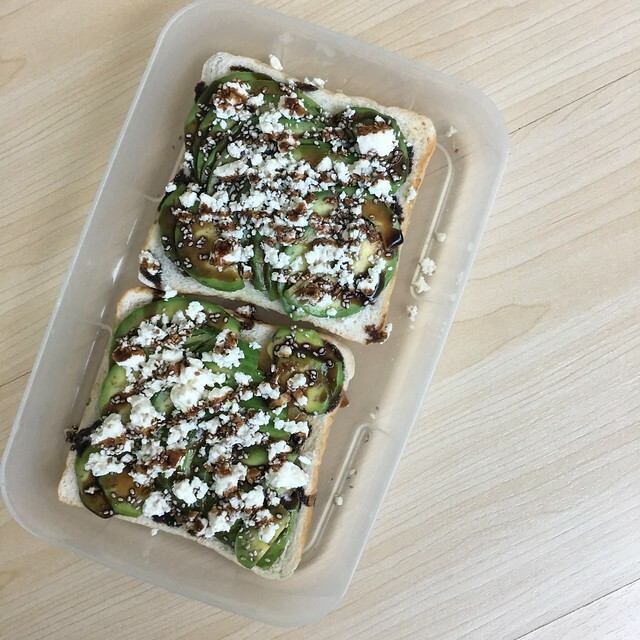 Slice them up thinly, put feta cheese and balsamic glaze! And if you have time, squeeze in a workout! I know it's harder to do it than say it! Haha! We're all in this together, mommies!